Leverage the deep domain expertise of our AngularJS Development Services which implement best practices and methodologies to transform your industry ahead of your adversaries. HTML is great for declaring static documents, but it falters when we try to use it for declaring dynamic views in web-applications. AngularJS lets you extend HTML vocabulary for your application. Google, who developed AngularJS, designed the framework in such a way that the resulting environment is extraordinarily expressive, readable, and quick to develop eCommerce App, Mobile App, and/or Chatbot App. Are you having an idea for making online presence along with great return policy? At that time, you must rely on Angular’s expressive environment along with its modern features to take hold of our ​AngularJS development services. We as an AngularJS Development Company, believe in providing a nimble and highly customized web designed solutions to intensify your business ahead of competitive challenges. AngularJS works extremely well in managing the heavy web applications and complex requirements. AngularJS can seamlessly transfer asynchronous HTTP requests. AngularJS supports both unit and end-to-end testing with tools like Jasmine and Protractor. AngularJS provides immense support to XAML Development. It provides Data Binding Capability to HTML. Our skillful and professional ​Angular.JS Developers ​walk an extra mile to fully understand your business needs and help you convert your Ideas into reality. Angular apps are modular and Angular has its own modularity system called Angular modules or NgModules. Angular Module(s)/NgModule(s) helps organize the Applications into cohesive blocks of functionalities. These modules consolidate components, directives, and pipes into cohesive blocks of functionality, each focused on a feature area, application business domain, workflow, or common collection of utilities. A component is basically a class that is used to show an element on the screen. The components have some properties and by using them we can manipulate how the element should look on the screen and behave. The view of the component is defined through templates. A template is a form of HTML that tells Angular how to render the component in other words, Templates are basically the HTML that is used to show how elements will be rendered in a page. 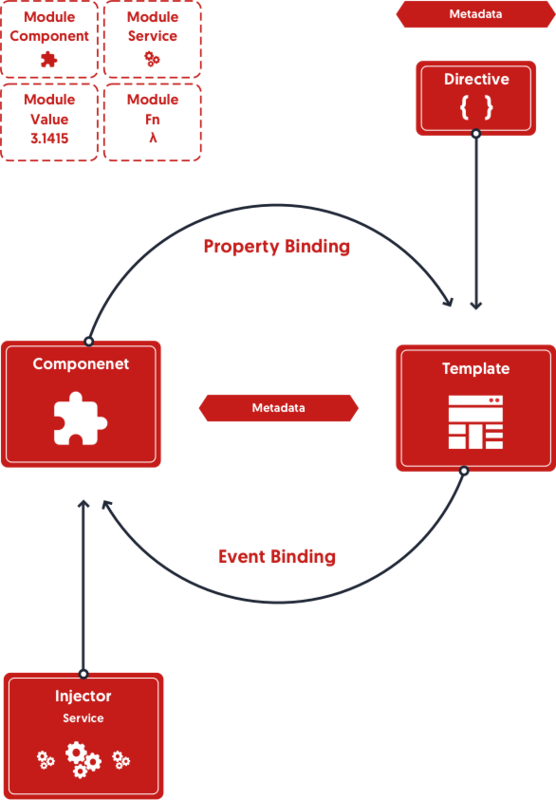 Angular supports data binding, a mechanism for coordinating parts of a template with parts of a component. Add binding markup to the template HTML to tell Angular how to connect both sides. Directive helps us to add behavior to the DOM (Document Object Model) elements. We can attach multiple directives to the DOM elements. As Angular templates are dynamic, when Angular renders them, it transforms the DOM according to the instructions given by Directives. A service is typically a class with a narrow, well-defined purpose. It should do something specific and do it well, in other words a Service is a class containing Functions and Features with pre-defined and specific purpose. Services are fundamental to any AngularJS application as Components are big consumers of Services. Dependency injection allows to inject dependency as a service throughout the web application. Angular uses dependency injection to provide new components with the services they need. Angular can tell which services a component needs by looking at the types of its constructor parameters. Got an idea on an AngularJS Project? With the great ability of Integration and Migration, our ​AngularJS Developers ​try and deliver exactly what you’ve asked for. We as AngularJS Web Development Company utilize the rich and highly customizable features of AngularJS to deliver you the most fantastic experience which will levitate your Business to new Heights. We build intuitive AngularJS APIs with an interactive, and eye-catchy front-end. Our AngularJS Development Services helps you with API Integrations as well. Our Team of sophisticated AngularJS Developers and Designers depends on latest, built-in functionalities of AngularJS for deploying Robust, Unique Designs by integrating contemporary services. With the help of AngularJS technology, it is easier to build a simple and enticing portal system with floating panels. Our AngularJS Developers provide you simply Fantastic Portal Service which helps you to outgrow your competitors. We provide easy 24/7 support and maintenance services, online ticket resolving, and post-development support come up with affordable maintenance packages that make our customer base happy. As a Comprehensive client-side solution the AngularJS is, we as an AngularJS Development Services provider naturally adopted AngularJS to provide you with Latest Interactive UI/UX Trends to levitate your Business above all the market challenges. As Rich and Featureful the AngularJS is, we try and achieve some of the Best Dynamic Dashboards which help your Business to outgrow the market competitors. 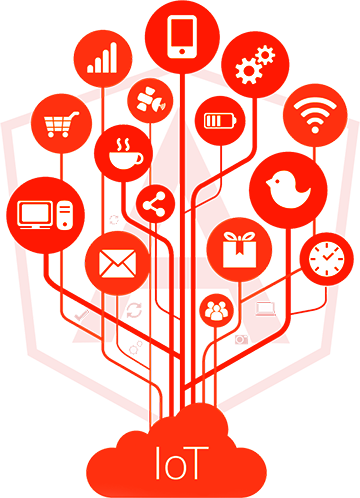 As Multi-Platform Development is getting easier through AngularJS Development, making it a smart choice for omnichannel eCommerce setups and you can utilize our AngularJS Development Services to its fullest to get you delivered the Top Notch eCommerce Solutions. Our professionals having expertise in various AngularJS Development Solutions, they can easily and effectively develop plugins as per your business needs to help facilitate your online dominance. As AngularJS provides seamless Integration Solutions, we assure you to Integrate your existing Web and/or Mobile platform(s) with ease and help you in the Growth of your Business to reach Booming Heights. We provide potential support to our customer-base for migrating their website or data to AngularJS with Zero (0) Downtime Efforts, Fewer Connectivity Issues, and No Damage of Data. The evolution of 5G technology is a significant booster for IoT mobile applications since it means increased data speeds and reduced latency. With an estimated number of more than 400 IoT platform providers in business today, IoT adoption is likely to get more feasible over the years with key benefits including improvements in productivity and efficiency, enhanced performance, better customer engagement – all of which eventually translates to increased revenue. AngularJS works extremely well when it comes to managing the heavy IoT Applications that contain a number of components and complex requirements. AngularJS provides an important feature of Automatic DOM (Document Object Model) Manipulation which further can be helpful in building Intuitive Front-ends for IoT Applications. 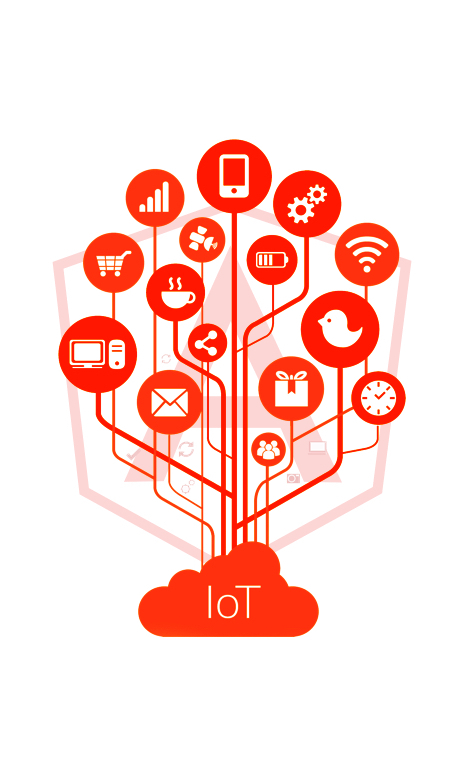 Furthermore, AngularJS can seamlessly transfer asynchronous HTTP Requests generated by various IoT Components. 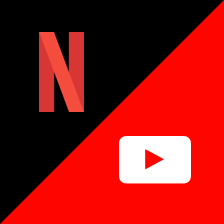 YouTube and Netflix are using AngularJS in their mobile application for better scalability and to attract more clients. 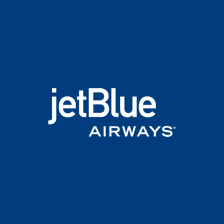 One of the biggest airline JetBlue uses AngularJS for their applications for better customer satisfaction on their site. 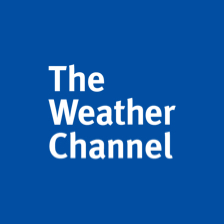 Weather.com utilizes the AngularJS to it’s full potential for accurate weather forecasts and even better User Experiences. 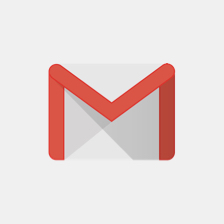 Gmail utilized AngularJS to its fullest in its One-Page Mailing application for an immense User Experience for its users. 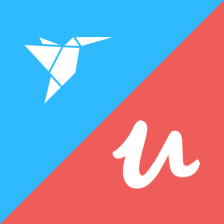 Udemy and Freelancer.com are using AngularJS for better content integration and ease of use for the end-user. 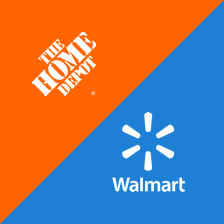 Home Depot and Walmart integrated AngularJS into their websites for enhancing their business worldwide. Having a proficient and devoted fleet of ​AngularJS Developers ​we help you boost your online presence in no time. AngularJS is mainly used in the development of Navigation Menu-bars, and SPAs (Single Page Applications). Why is AngularJS widely used? AngularJS is completely extensible and works well with other libraries. All of its features can be modified or replaced to suit the enterprise’s unique development workflow and feature needs. We have 70+ in house developers with all level of expertise in various profiles like Software Architects, Software Developers, Business Analysts, UI/UX Developers, Project Managers and QA Managers holding an average experience of 3.5+ years. How do we monitor the development progress of the project? Do you use any project management tool? In Agile Scrum process, we conduct different Scrum Ceremonies such as Daily Scrum Meetings, Sprint planning meetings, Sprint review meetings, and Sprint retrospective meetings to name a few. This helps in getting a better picture of the project and trends. In Kanban process, we visualise and identify the processes and make improvements to the existing processes in a sprint. This leads to new insights and opportunities for improvement. We use industry-standard project management tool: QuickScrum, where you can monitor the daily progress. You can create the task, assign the work and monitor the development progress and this is how you can have full transparency and control over your project development progress. Which are the hiring models to avail your services? • For dedicated hiring, we follow the monthly payment cycle, where you are given the first 50 – 100 hours to test our developers. You are required to pay 50% of one-month payment upfront and for the remaining amount, you are required to pay the remaining amount at the end of the month on a specified date according to the pre-agreed contract with you. • In the hourly basis, you are required to pay one week of advance payment upfront and for the remaining amount, it can then be paid on the weekly payment cycle according to the pre-agreed contract with you. • For the time and Material basis, you will be required to pay 20 to 30% of the project as upfront and the remaining amount will be based on the milestones decided, so upon completion of the milestone, you will be releasing next % of payment as per the pre-agreed contract. What are the main advantages that I can get from hiring a dedicated team? • Total control over the development process. • Hiring a dedicated team guarantees Quality Assurance and Risk Minimization. • We will provide you with a Scrum Master (Project Manager) to manage your project and team, without any additional charges. • A shared QA will be provided to assure quality without any cost. • And at last, but not least is the fact that developers work as a part of your team.